Talk about a deep bench. Janelle Monáe’s Wondaland Records is chock full of talent. The stable of singers, songwriters, and musicians are doing their damnest to change the game. 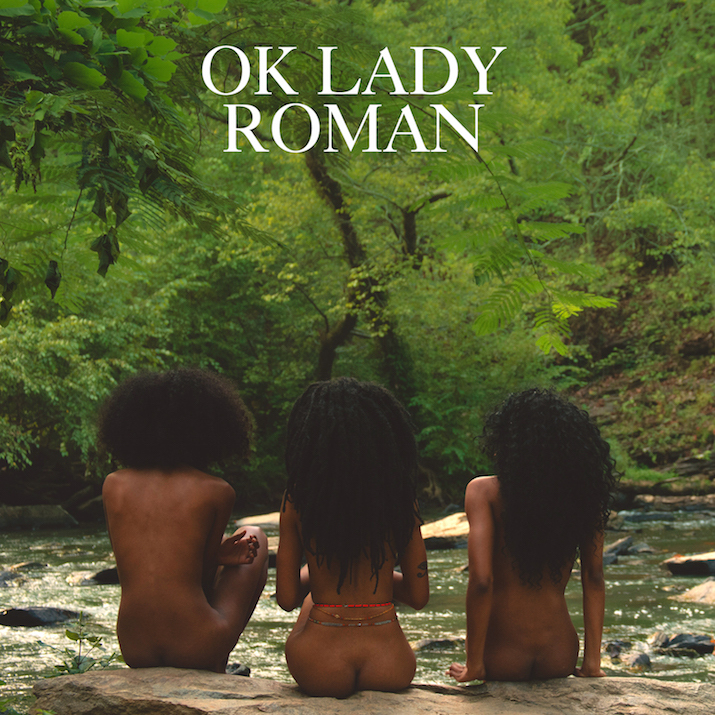 And the free EP OK Lady from Roman GianArthur is a stunning soul collection from the new entrant. From the first note on the first track “ALL:NEED”, OK Lady has you hooked, using a sample of D’Angelo’s “Lady”. But GianArthur goes beyond sampling and almost channels the legendary soul singer. His inflections and styling fall right in between D’Angelo and Miguel, a sound both unique and distinctly familiar. And the free range electric guitar work could bring out the inner rocker in anybody. “H:GH&DRY” delves deeper into the roots of soul music for inspiration. GianArthur fuses his electric guitar with classic soul patterns and raw vocals that bring Smokey Robinson to mind. His somber guitar immediately recalls Meshell Ndegeocello ‘s Love & Basketball track “Fool Of Me”, and his delicate emotion stirs up the same feelings. This song more than proves both his musical and vocal abilities, but it also perfectly embodies that magic only real musicians can construct. Wondaland Records boss Janelle Monáe makes her entrance on “NO SURPR:SES” as the two make sweet harmony. This one also feels like a throwback, like Barry Gordy would have loved to have it in his Motown catalogue. Gianarthur shows an understanding of levels within music, creating a symphony of sound that permeates your skin. This is the type of music you want to turn up and bathe in. “PARANO:D”, which utilizes a Radiohead sample, is decidedly more rock influenced than his other tracks. Here, he also turns up the futuristic, ambient sound effects to craft a toe-tapping monster. And if I didn’t know better, I’d swear Prince had a hand in this. The only real oddity on this set is the closer “SEND:TON”. It is ethereal and laid back with a slower pace than anything else Gianarthur offers. He also dials back his electric guitar use, reserving it for hard, jarring contrast. The haunting, almost alien harmonies never quite settle into the gloriousness he achieves elsewhere. Still, as he hits his final high notes at the end, there is a feeling that what you just listened to was important in the history of music. Whether you call it new age, experimental, or progressive soul music, this mashup of throwback and futuristic elements is ear-euphoria. Stream the EP below. And click through to download it for yourself!